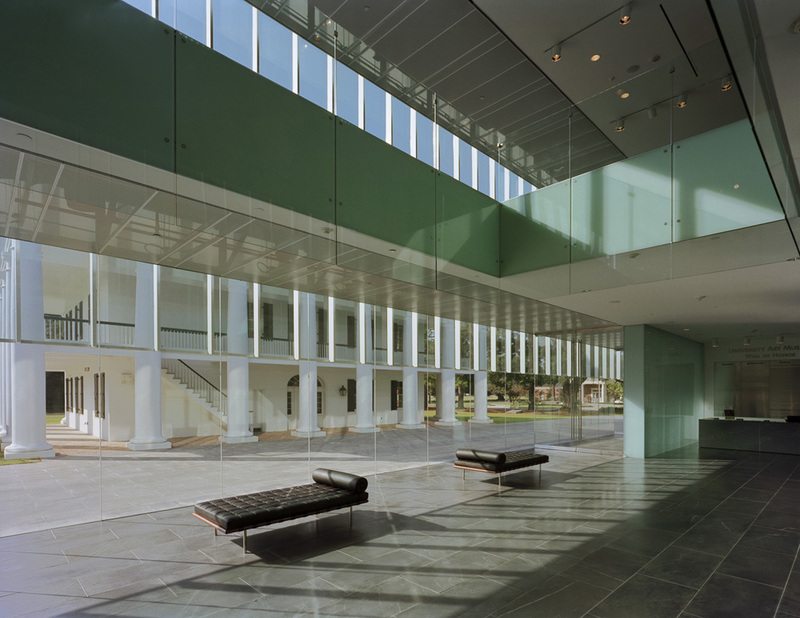 Structural Engineering: McKee and Deville Consulting Engineers, Inc.
Museum Programming: M. Goodwin Associates, Inc.
Fountain Design: Fluidity Design Consultants Inc. 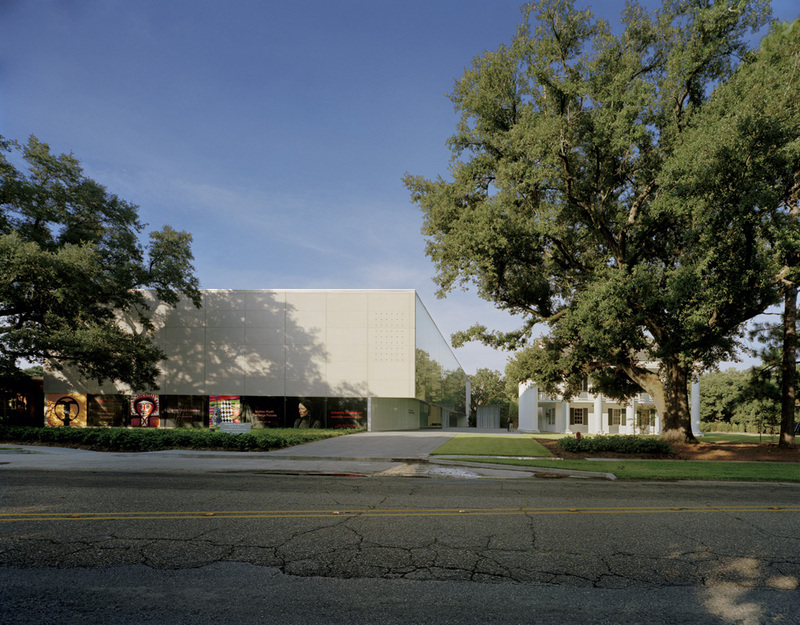 Situated adjacent to the original 1967 University Art Museum (a replica of an antebellum plantation home designed by noted Louisiana architect A. Hays Town) this museum building serves as a backdrop to the original and defines the edge of a new sculpture garden and plaza. 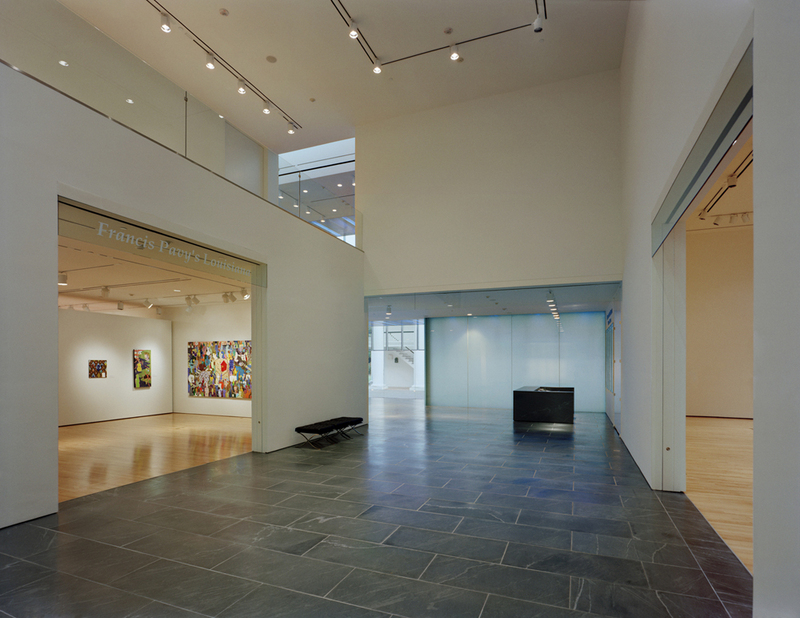 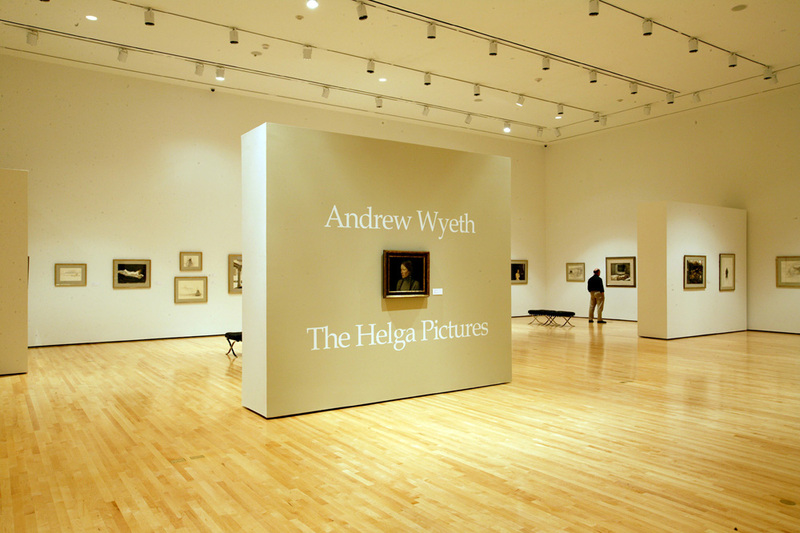 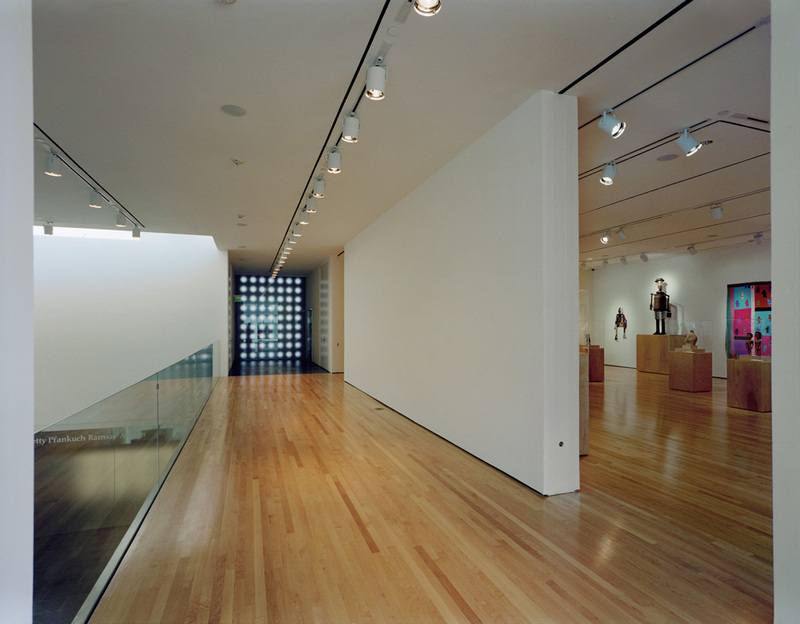 The program includes lobby and public spaces, permanent collection and changing exhibit galleries, museum offices, and art support and archive. 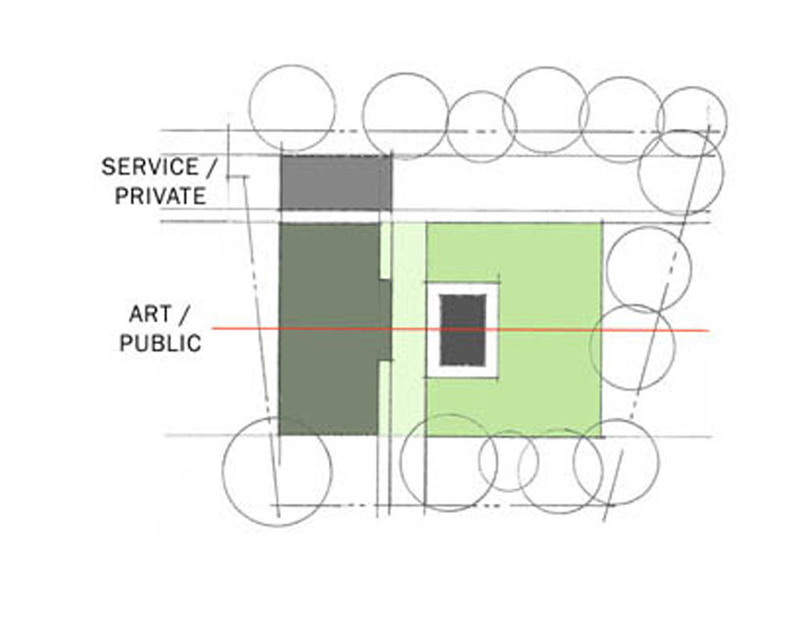 Conceived of as a tightly wrapped solid, the construction module of the new museum responds to the structural rhythm of the original building in order to develop a strong organizational structure for the entire newly developed site. 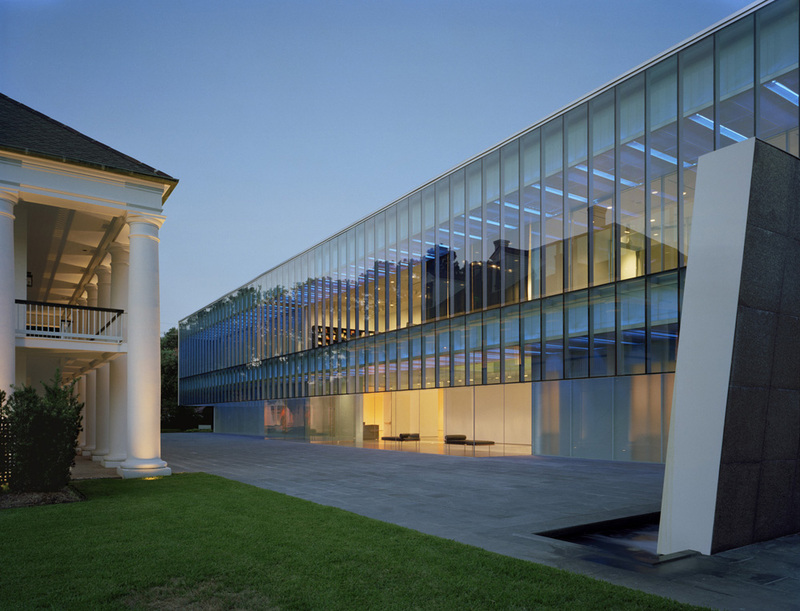 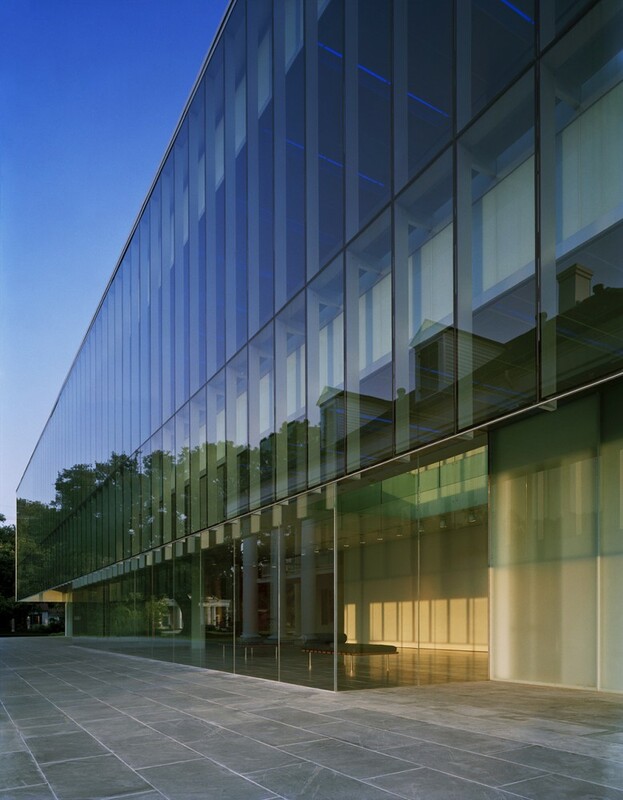 The building’s glass façade hovers above visitors entering the museum, reflecting in its surface the existing Hays Town building and live oaks of the surrounding sculpture garden. 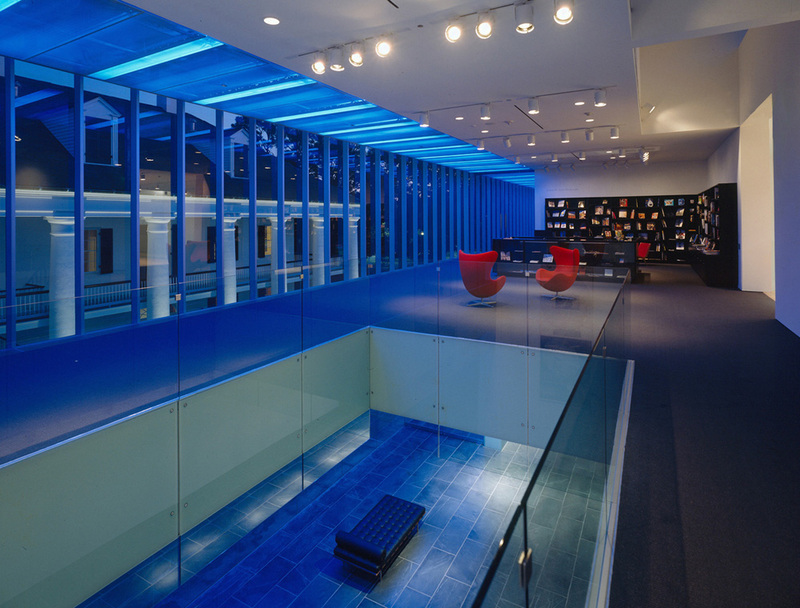 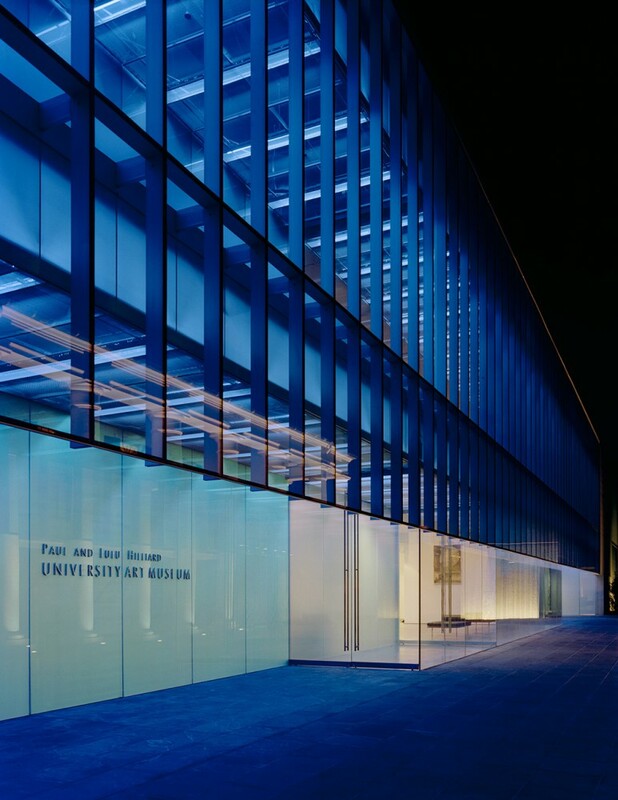 Depending upon position and time of day, the glass façade oscillates between opaque and transparent, and at night is rendered in a deep blue light through the use of cold cathode tubes located above perforated metal ceilings, serving to contrast the new museum with its older adjacent neighbor.